What are the services you offer aside from Glass Doors? What types of glass doors your company offers? Sliding Glass – short description here, one paragraph only. To know more about our Sliding Glass door, please visit this page Sliding Glass door. Frameless Glass Door – short description here, one paragraph only. To know more about our Frameless Glass Door, please visit this page Frameless Glass Door. Tempered Glass Door – short description here, one paragraph only. To know more about our Tempered Glass Door, please visit this page Tempered Glass Door. Bathroom Glass – short description here, one paragraph only. To know more about our Bathroom Glass, please visit this page Bathroom Glass. Kitchen Glass – short description here, one paragraph only. To know more about our Kitchen Glass, please visit this page Kitchen Glass. For custom glass doors that are not in the list, please contact us today and we will discuss how we can deliver that to you. Please give us a call or write to us using our contact form. What makes Glass Door Specialist different from other glass doors suppliers is how we treat our clients. Why is your company different from the other suppliers? We provide our clients the best quality service that we can offer. We communicate more to our clients and evaluate their requirements. It is then we suggest what best materials for them that fits to their needs and within budget. Do you have offices outside the Singapore? We do not have office outside Singapore. Please give us a call for transactions involving outside of Singapore. How long you can deliver the services & products if I will order today? We always do our best to deliver the products & works completion as soon as we can. It also depends on what services & products you order and the availability. 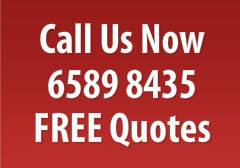 You can contact us for FREE quotation by filling up the quotation form here. Will you do also installation? Yes, we do supply & installation within Singapore. Our well-trained installation team will gladly do the work at your convenient time.